This process of pre-qualification for a mortgage and obtaining a guarantee of a specific, advantageous interest rate is of considerable benefit prior to starting to look at residential properties. Having a firm grasp of exactly what homes are in your price range before beginning the house shopping adventure will not only save time in examining properties that you cannot afford, but may lead to a pleasant surprise in that you may find that you qualify for a more expensive and better property range than you had previously believed. Obtaining a guarantee of interest rate serves to protect a buyer at times when the financial markets are roiling and rates fluctuate wildly. A guaranteed interest rate represents a formal assurance that the payments which are projected at the beginning of the process will not be suddenly subject to significantly increased interest charges and escalate out of control to violate your bounds of affordability. Many buyers find that once they are armed with a Certificate of Financing Approval, they are able to negotiate better deals with sellers. The assurance that the transaction is not going to be truncated by a buyer's inability to secure financing assures the seller that the proposal is not just a waste of time and thus they will negotiate with greater seriousness and intent. However, a certificate of pre-approval for a mortgage is not an irrevocable guarantee that you are going to be approved for any specific mortgage loan on a particular property. Even once you are in possession of a certificate of mortgage pre-approval, it is still necessary to hold a meeting during the conditional offer period with the lending institution to obtain the conclusive approval. Not only do situations change but some properties are less attractive to lenders than others, so the lender meeting clarifies all the details of the transaction and assures that there is a firm green light to the deal. 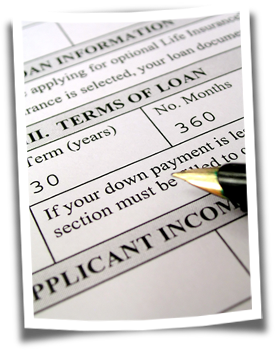 Prior to final approval the lender will explain the types of mortgages that they are willing to extend to you along with all the details such as interest rates, terms, amortization periods and they types of available payment schedules.